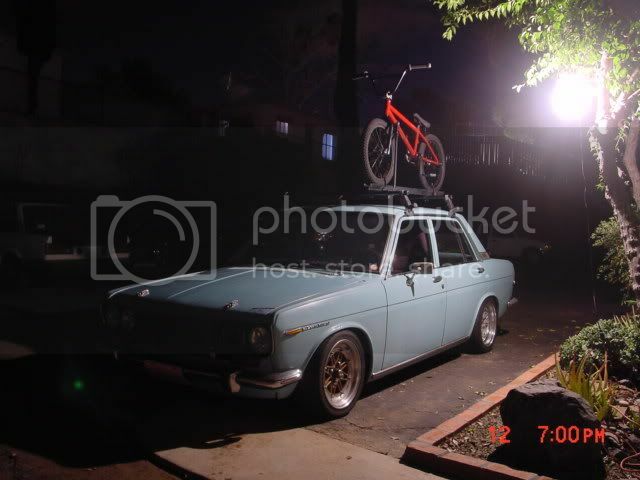 Topic: Robin Egg Blue 510 pics ? 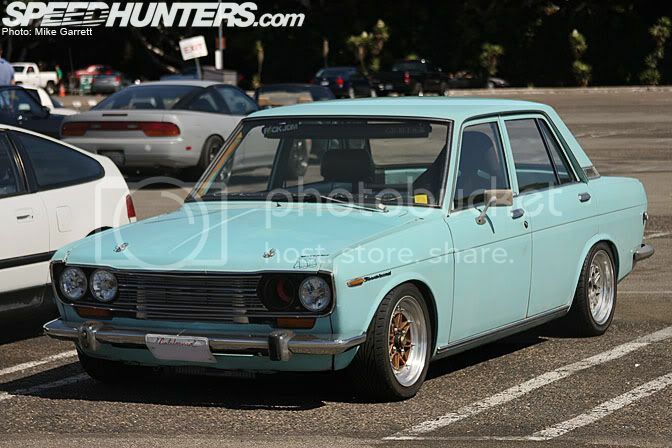 Re: Robin Egg Blue 510 pics ? this picture is old as dirt! Topic: where are they now?? Re: where are they now?? Wow, your car is a real treat to look at. Very nice! Keep the pics coming, i wana see it with those 14's..
Topic: Pictures of ROLL BAR in 4 Door?????? Re: Pictures of ROLL BAR in 4 Door?????? Topic: Who has ordered from Datsport? Re: Who has ordered from Datsport? Datsport is great! I got my front suspension from them as well as a M/C. Put a bike rack on the other night. Im stoked! Topic: MY CAR 4 SALE! 69 SR 4DOOR!! MY CAR 4 SALE! 69 SR 4DOOR!! Very cool! Awsome bikes guys. I want to get one too, ive been looking for a while now but nothing that fits my pocket book lol. Hopefully soon tho! Ill be there in my car Not in the show tho, i missed reg. Topic: Anyone interested in a fixed gear bike?? Re: Anyone interested in a fixed gear bike?? it really depends on what your inseam is. Im 6' so it may be alittle big for you. My inseam is about 33"-34". Anyone interested in a fixed gear bike?? Very nice looking, great job! would you sell just one? I really only need one after looking over them last night.